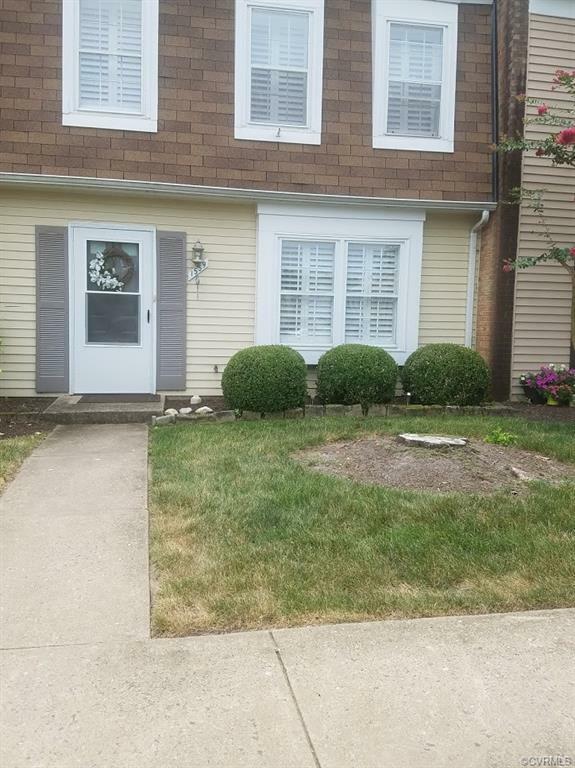 This Beautiful, "Like-New" Townhouse in Henrico County is Back on the Market at No Fault of Seller. This stunning townhouse has three Bedrooms, 1.5 Baths. Large eat in Kitchen with stove, refrigerator, and dishwasher. Living room and Dining Room/Den with Fireplace. Beautiful Custom Blinds throughout home! Entire home was recently, freshly painted and new carpet installed throughout. Washer/Dryer to convey, as well. Large patio with private fencing. Association fees also includes, trash pickup, snow removal, community pool and tennis courts for summertime fun! Lot's of nearby shopping and just blocks away from I-64 and I-95. THIS WILL GO FAST, SO DON'T MISS OUT! Listing courtesy of The Rva Group Realty. Listing information © 2019 CVRMLS and CBRAR.